Home Client Side Object Model (CSOM) Content Type PnP PowerShell PowerShell SharePoint Online Site Columns SharePoint Online: How to Add a Site Column to Content Type using Powershell? SharePoint Online: How to Add a Site Column to Content Type using Powershell? 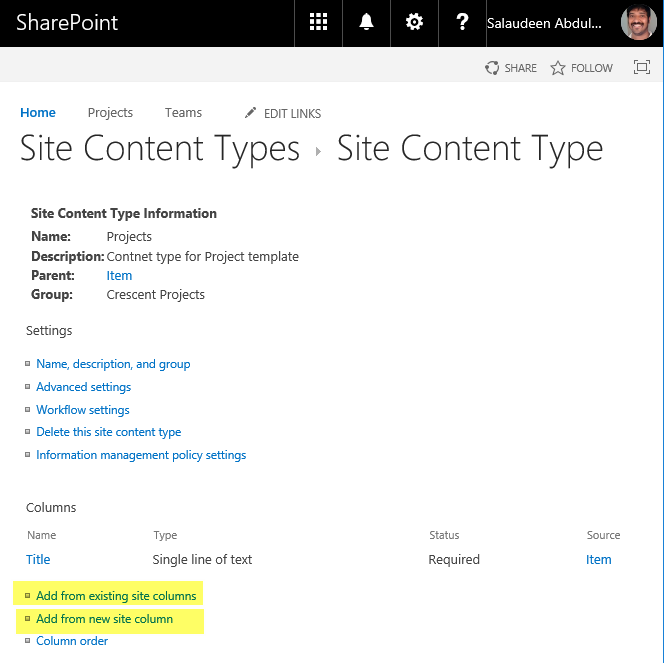 Requirement: Add a site column to content type in SharePoint Online. How to add field to existing content type in SharePoint? By default Title column gets added to the content type. However, you may want to add additional columns. 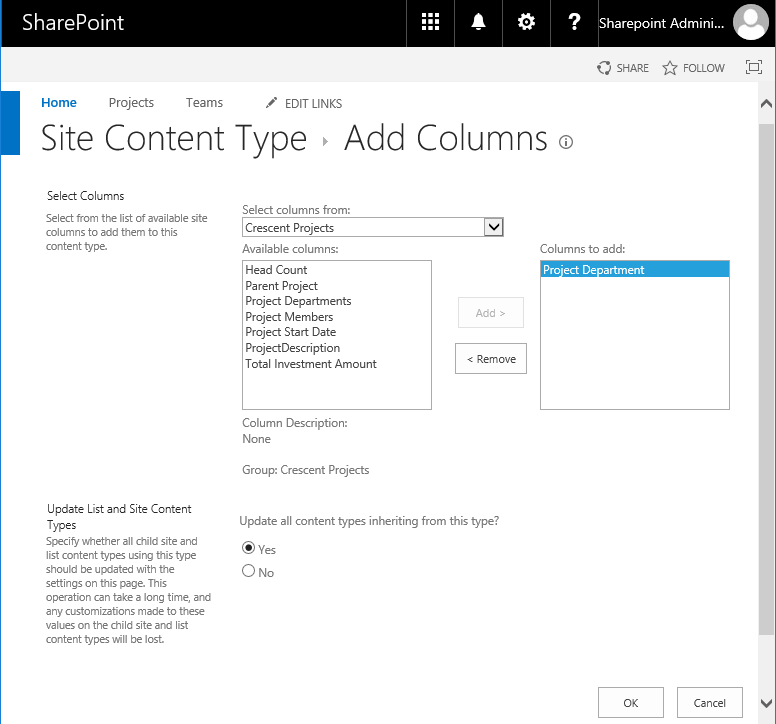 Go to the SharePoint Online site where you want Add a column to site content type. Click on Settings >> Click Site Settings. Select your target content type to modify. In site content types page, under Columns section, click on "Add from existing site columns" link. This takes you to a page where you can select any existing site column. Select the appropriate group and pick the site column you want to add, and then click Add to move the column to the Columns to add list. Lets see how to add column to content type in SharePoint Online using PowerShell. Lets add column to existing content type programmatically with PowerShell. $ContentTypeName = "Crescent Project V2"